This newest installation of the Map series is inspired by the amazing images we’ve been seeing in the past few years of Pluto, Saturn, and Jupiter. 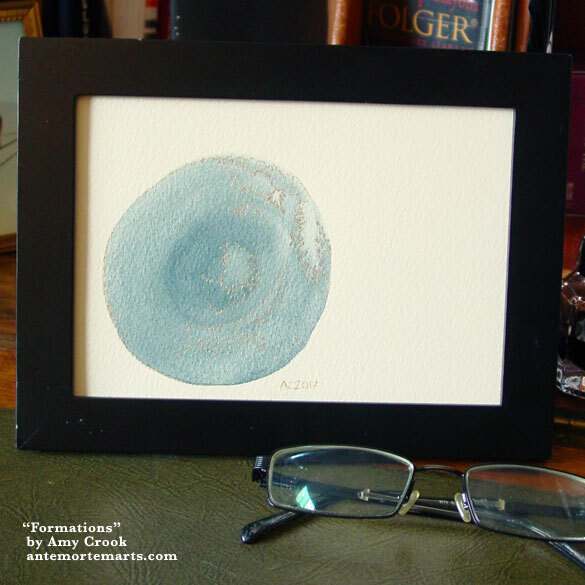 A wobbly blue planet has its mysterious formations outlined in a warm silver that complements the creamy buff paper that makes the space around it. Everything about this painting is muted and soft, inviting the viewer to appreciate the fine details. What would you name these mysterious geological formations? 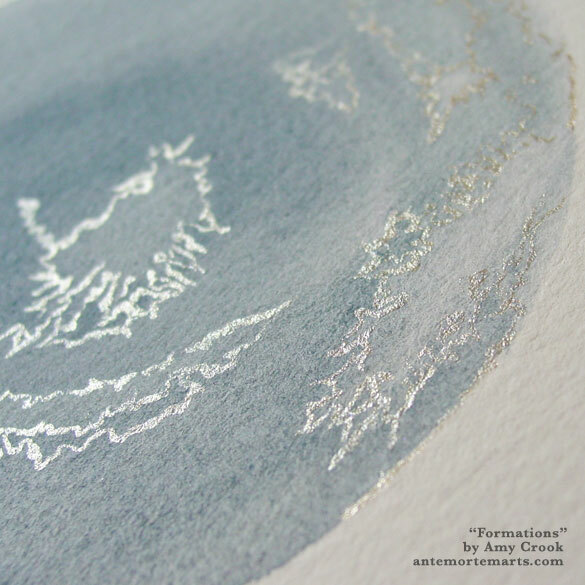 Above, you can see the sun glinting off the metallic formations, the silver tone as warm as the paper. 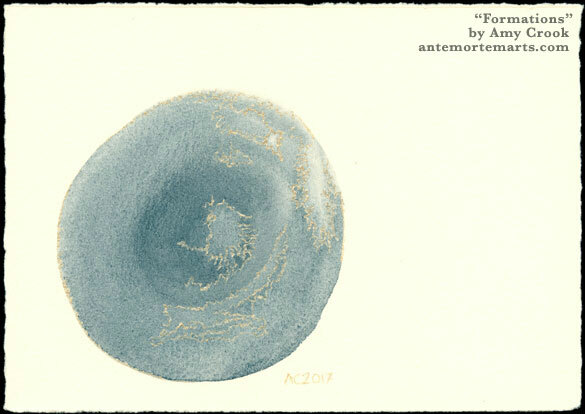 Below, you can see the piece in a frame, posing for your perusal before it heads off to its new home.